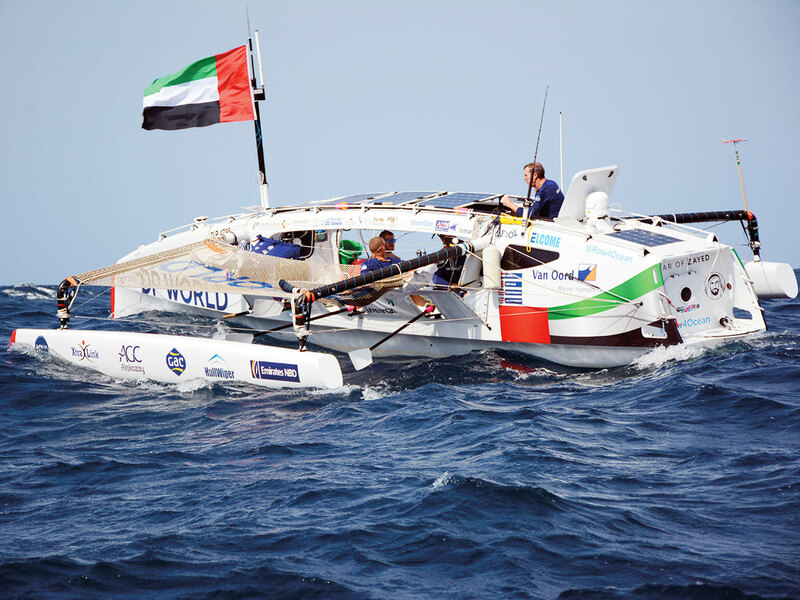 Dubai: A team of Dubai-based rowers aiming to cross the Atlantic in a record time of 27 days may have failed in their bid due to rudder failure but have vowed to go again. 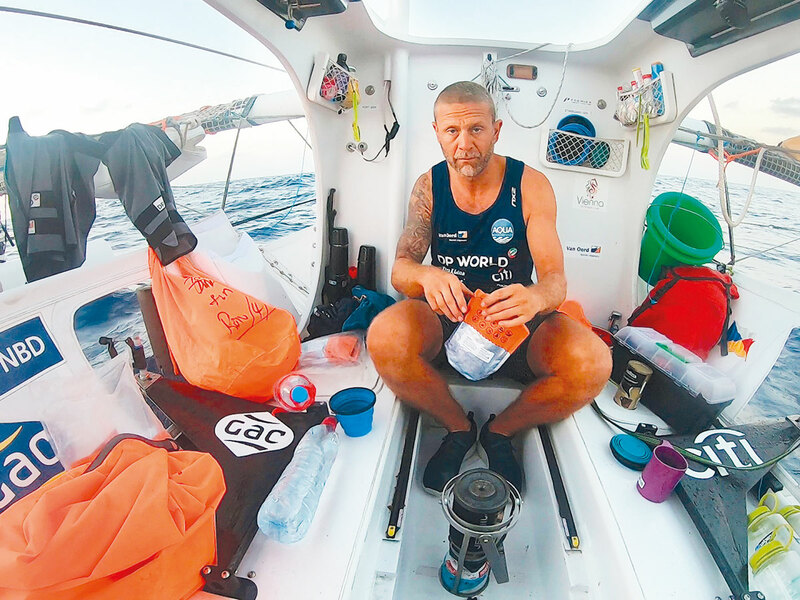 Row4Ocean, comprising of Dutch skipper Patrick Bol and his three British crew Andrew Ruinoff, Matt Wilds and Lewis Knollman, set off from Senegal on December 14 and were 2,880-km of the way through their 4,250-km row to Surinam when their rudder snapped on January 7. Their Dh1.8 million boat named ‘Year of Zayed’ and sponsored by DP World was towed by a support vessel for the remaining 1,370-km to Surinam, where they arrived on Tuesday morning. 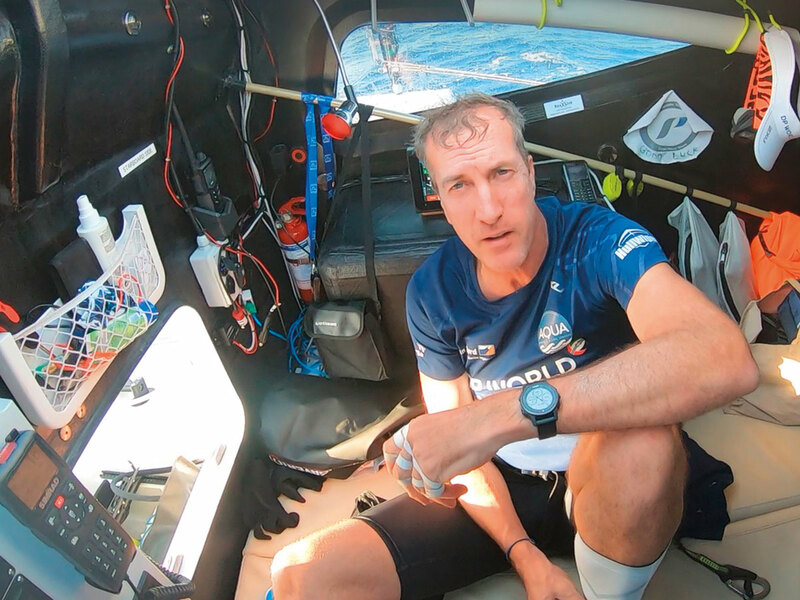 “We’ve gone through all kinds of phases during our eight days on tow,” skipper Patrick Bol told Gulf News. “Anger, denial, but the past four days have been ok, we’re more at peace and the last two days we’ve even seen the grass-shoots to be able to go again. Despite an electrical issue that affected their water makers before the rudder broke, they were still averaging 80-90 nautical miles (150-160 kms) a day. “The record is breakable. We’ve been 31 days at sea but could have well been in the range of 25,” added Bol. Why did they decide to put themselves through such hardship? “Sometimes you need to test your steel and see how tough you are. You need to put yourself to test,” said Bol. 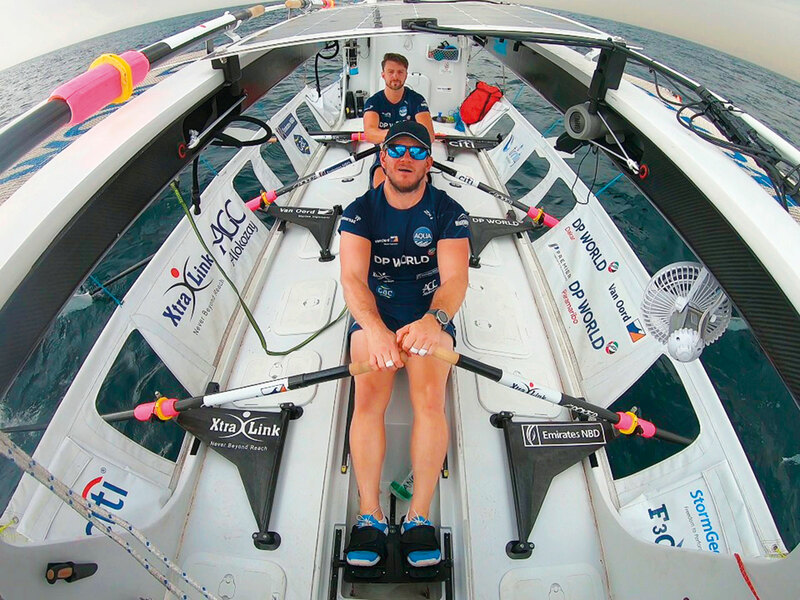 “We were also using the record attempt as a media vehicle to raise awareness of plastics in the ocean. We have collected water samples every day, which we will test when we get back to Dubai. “From 1,800 water samples taken during the Volvo Ocean Race only two didn’t contain micro plastics, so we have an issue and all of us are responsible for it.